Over the last couple of weeks we have had a distinct drop in overnight temperatures, and cooler southerly winds blowing. And while the winds have been gusty at times, the off the land Southerly direction, and lighter early inshore breezes, has meant that waters inside the bay and Cape are calm and clear. 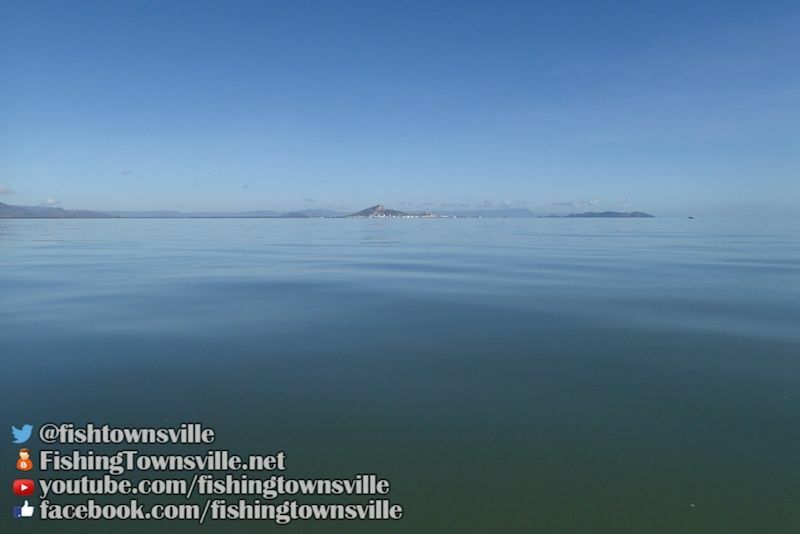 This has provided the opportunity to fish the flats and gutters out the front of the creeks to the south of Townsville. 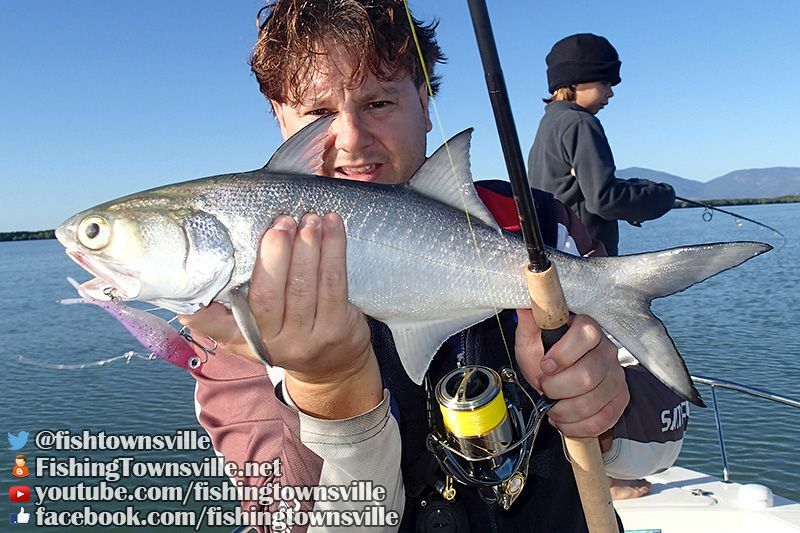 We have enjoyed a couple of good trips chasing Blue Salmon on Soft Vibe lures. Double, and even triple hookups have been awesome fun for the kids. 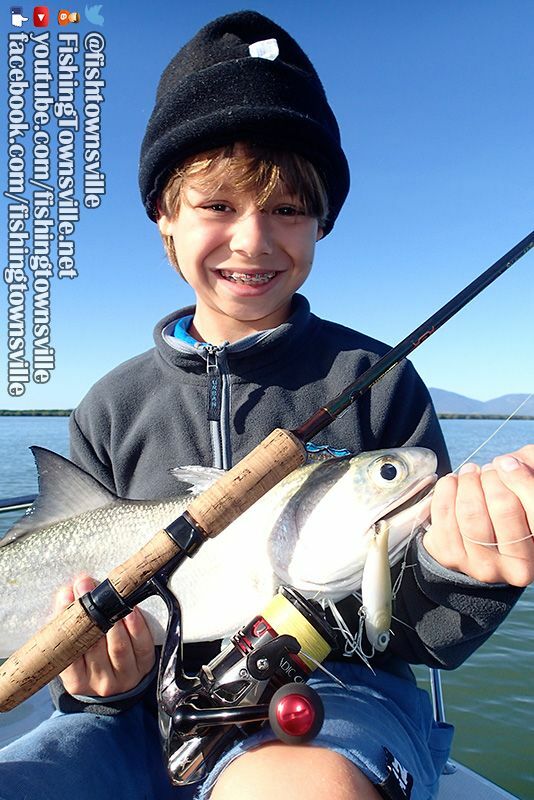 The consistent bite and open water fight makes it easy for the kids to chase fish on lures. Once the school is located, the boat is positioned down current using the 'spotlock' feature of the Minn Kota iPilot electric motor. The soft plastic vibes are cast up current of the school and worked erratically back to the boat. The Salmon hit hard and run fast, occasionally even getting airborne. These fish are not only fun, but a fresh fillet of the sides makes for tasty eating. And the kids love nothing more than eating fish they have caught themselves. 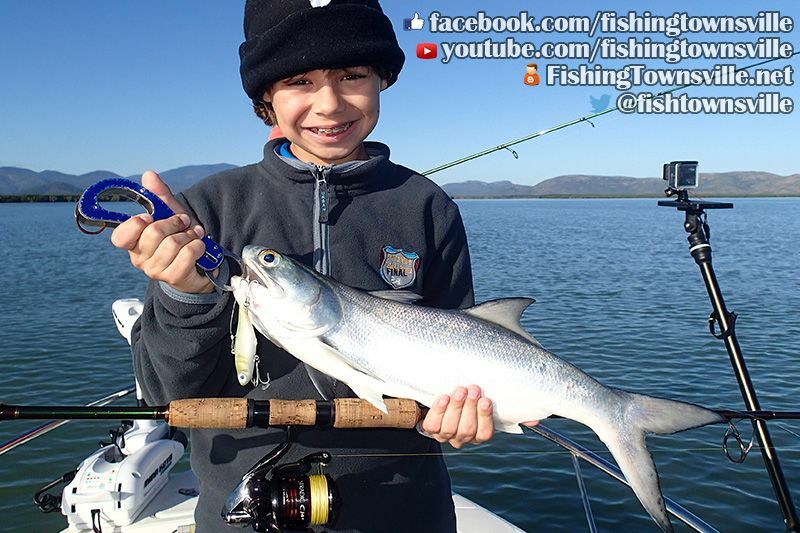 Sebastian has been using a Shimano Stradic Ci4 2500 on Raider Flathead Spin and 10lb Power Pro, while Lachy has the slightly heavier Striadic Ci4+ 3000 on Raider Barra Spin and 15lb. Both combos are well balanced, light, smooth and nimble, while still being capable of handling a decent fish. And they are very well priced outfits. 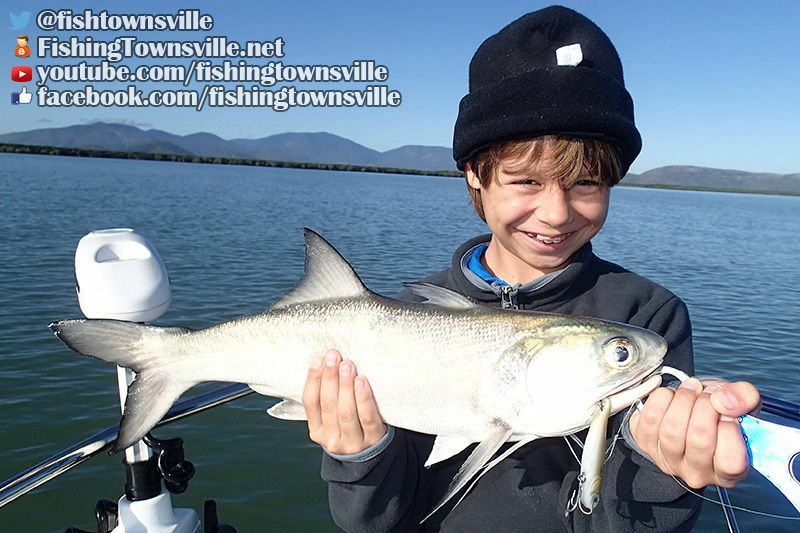 They are plenty of big fish inhabit these waters, and I refuse to have the kids use cheap gear and risk loosing a big Barra, GT, Queenfish, Fingermark, or any one of a number of quality fish. I have finally been able to get a fish or two on a new Shimano Stella 4000fj on GLoomis SJR843 IMX. With 15lb Super Slick 8, this outfit is stunningly smooth and incredibly capable. It was put together with full intention of working the soft plastic vibes style lures. This is the first I have used the Super Slick 8 carrier braid, and I am impressed! As line needs replacing on my other reels I think I will slowly make the upgrade.